Play in the park without the typical plastic play structure! 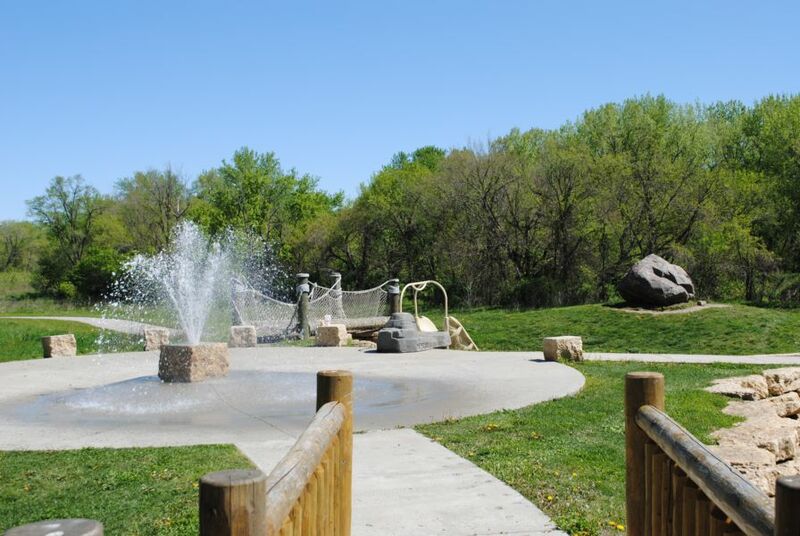 Sargent Park on the east side of Des Moines offers a breath of fresh air with a natural playscape. A hollowed out log, wood bridge and wooden climbing structures provide play in addition to a gorgeous backdrop of scenery by the river. This park is also connected to the Central Iowa Trail System for walking, running of biking. Worth a trip to this newer park in Des Moines!